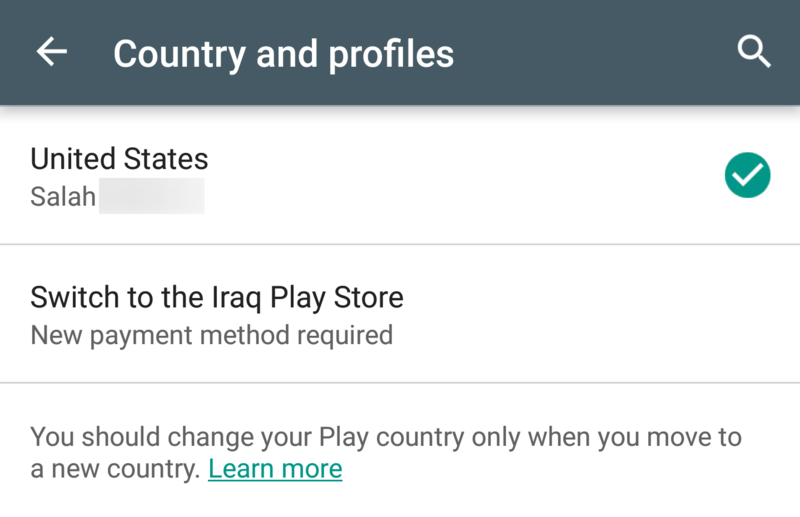 A few months ago, we discovered a new feature in the Play Store app on your phone that would let you, relatively easily, change the country of your account. Back then, we still weren't clear on how this change would work and whether or not you could switch back. Now, we have some answers in the form of a new Google Play support page. you have not changed your country in the past year. If you are eligible, the setting should be in the Play Store app under the menu, Account, Country and profiles. You need a valid payment method to change to a new country and you may have to wait 24hrs for the switch to take place. A new payments profile will be created for your account. Any credit you have on the old account will remain tied to it and won't be transferred to the new country, so you can only access it in one year if you decide to switch back. There are a few more intricacies to the situation, so if you need to know more, head over to the source link below and read all about it.